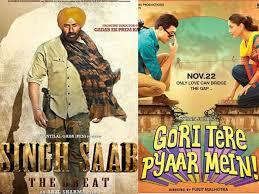 Singh Saab The Great vs Gori Tere Pyaar Mein : First week Collections. Last week releases Singh Saab The Great and Gori Tere Pyaar Mein were not able to fare at Box office as per expectations. Surprisingly, Singh Saab The Great did far better business than Gori Tere Pyaar mein in first week. None of the releases were able to pull audiences to the theaters as expected. Though both the movies has average performances at Box Office but it was Singh Saab The Great which outperformed Gori Tere Pyaar mein from very first day itself. Singh Saab The Great collected around 33 crores(approx) in its first week at Box office which is far better than Gori Tere Pyaar Mein first week collections of around 15 crores. Lets have a look a day wise comparison of both movies for first week. 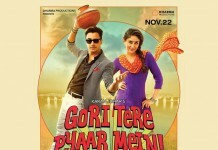 It is quite clear when it comes to Singh Saab The Great vs Gori Tere Pyaar Mein, Gori Tere Pyaar Mein is one of the biggest flops of this year. 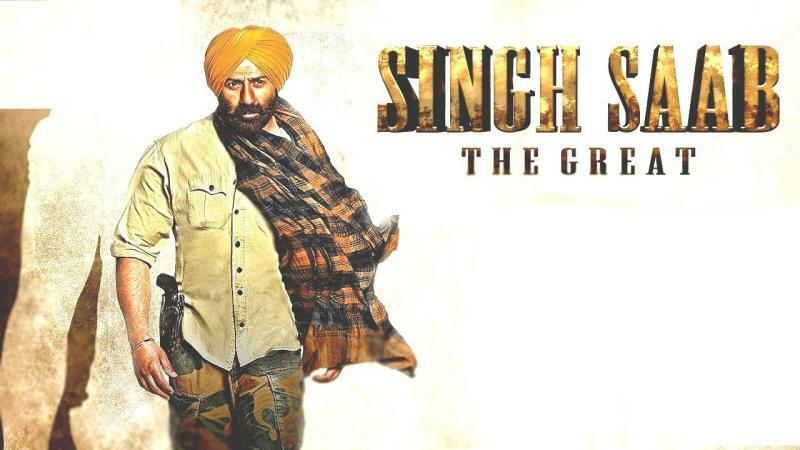 Singh Saab The Great is average till date bit can be a hit if next week release Bullett Raja fails at Box Office. Stay Filmy and Stay tuned to Blog to Bollywood.